Does it look like this? Or is the cap more umbrella shaped? Oops, i thought i posted where i live. I live in Central Oregon, which is a high desert, very hot in the summertime, and snowy in the winter. It does not look like that. The one i have almost looks like a nasty yellow version of an asparagus plant. 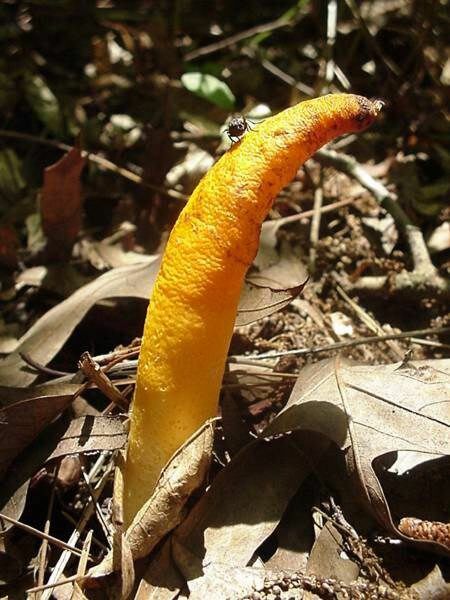 It sounds like a yellow stinkhorn. You might google it to see--hard to tell without a picture. If I was paying attention, I'd have seen your location under your name *blush* Do either of these pics look like what you have? Could somebody tell me what kind of grass this is?